Geothermal leader Ormat Technologies plans to diversify into energy storage and demand response with the $35 million acquisition of software and microgrid technology company Viridity Energy. The Nevada-based Ormat announced the deal today and hopes to close this year. 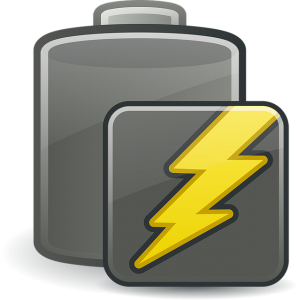 Citing strong growth in energy storage, Ormat said the acquisition will allow it to expand its products, customer base and geographic reach. Viridity offers software that monitors, optimizes and controls energy storage and other energy assets. A 50-year-old company, Ormat specializes in development of geothermal and recovered energy generation. It has engineered, manufactured and constructed power plants totaling over 2,000 MW of gross capacity globally. A newer player formed in 2008, Viridity interacts with regional wholesale markets to monetize customer assets, including energy storage and demand response. It has projects totalling 850 MW across 3,000 sites under contract. The software company has been involved in development of several microgrids, among them the Village of Minster in Ohio, a project noted for its sophistication in achieving multiple revenue streams for a municipal utility. Its 4.2 MW solar array is paired with a 7.5 MW storage system, integrated by S&C Electric. Viridity was selected to operate the project’s market operations center. Viridity also is a partner in a microgrid proposed for Amtrak through the NY Prize. The $31.3 million microgrid would secure critical transportation services via 17.2 MW of energy generation and 4 MWh of storage for Amtrak’s Sunnyside Yard in Queens and Penn Station in Manhattan. In addition to expanding Ormat’s product line, the deal would broaden the company’s customer base, adding retail energy providers and large industrial and commercial clients that Viridity serves. 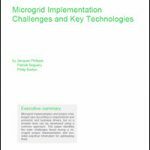 Track news about energy storage and demand response by subscribing to the Microgrid Knowledge newsletter. It’s free.